COMPETITION TIME! We have the Sylvester Stallone & Arnold Schwarzenegger DVD collections to give away to one very lucky winner! Sylvester Stallone & Arnold Schwarzenegger Competition! To enter the competition, answer the following question: Before The Expendables 3, what was the last film both Sly and Arnie appeared in together? 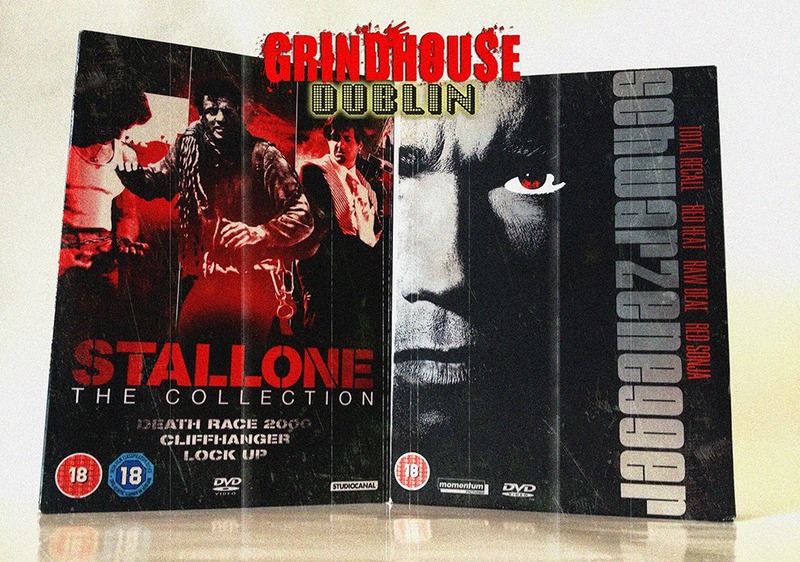 To enter the competition, just send an e-mail, with your name and address to grindhousedublin@gmail.com and put Sly & Arnie Competition in the subject line. Best of luck everyone! The winner will be chosen at random and needs to be a ticket holder on the night, otherwise a different winner will be chosen instead. The competition is open only to residents within Ireland. You are encouraged to 'like' and share this competition with your friends. The winner will be announced at our screening of Cobra and The Running Man at Light House Cinema on 29th August at 9:45pm!